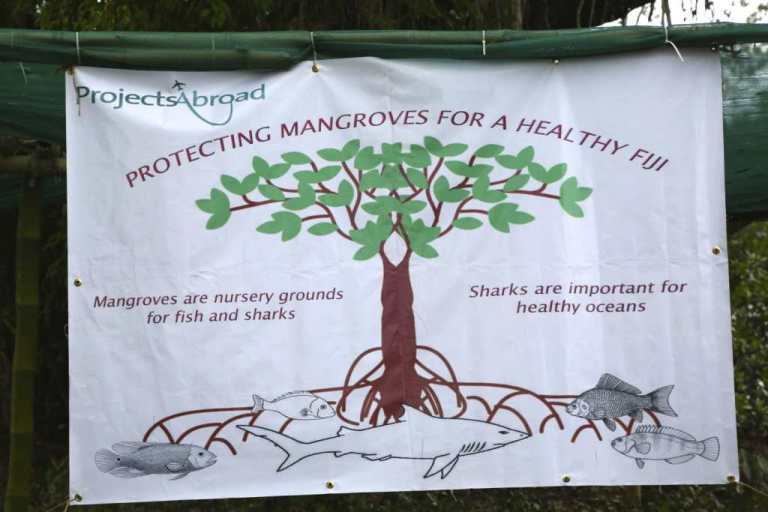 Projects Abroad Shark Conservation Project with its volunteers from all over the world is the primary planters of the Mangrove for Fiji mangrove reforestation project. 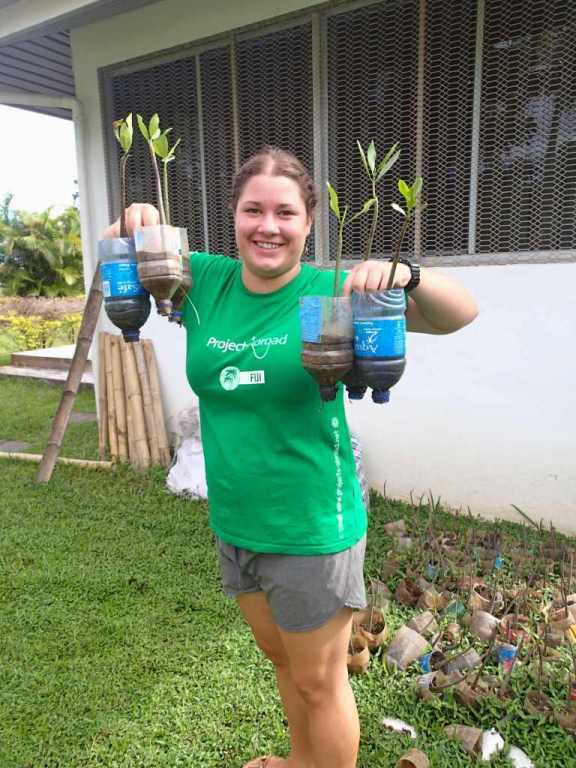 At any one time we have approximately 20 to 27 volunteers from all over the globe working with our local partners and villagers in the reforestation of mangroves. Our planting sites are Galoa Village, Navua River, and Wainiveidio settlement situated just 10 minutes from Navua town. Our planting plans always involves surrounding local schools and villages as it allows us an opportunity to educate the community about the importance of mangroves, a habitat whose importance, unfortunately is not widely and/or fully comprehended in our local communities.